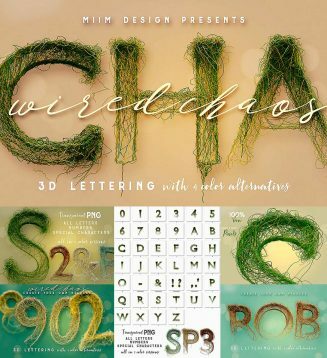 Hi-res 3D wired chaos lettering renders. Great for your headers, posters, advertisments – any web or print projects. You’ll find here also layered PSD file with 10 effets (shadows, effects…) – just replace letter in smart object and you’ll see letter in all 10 effects. 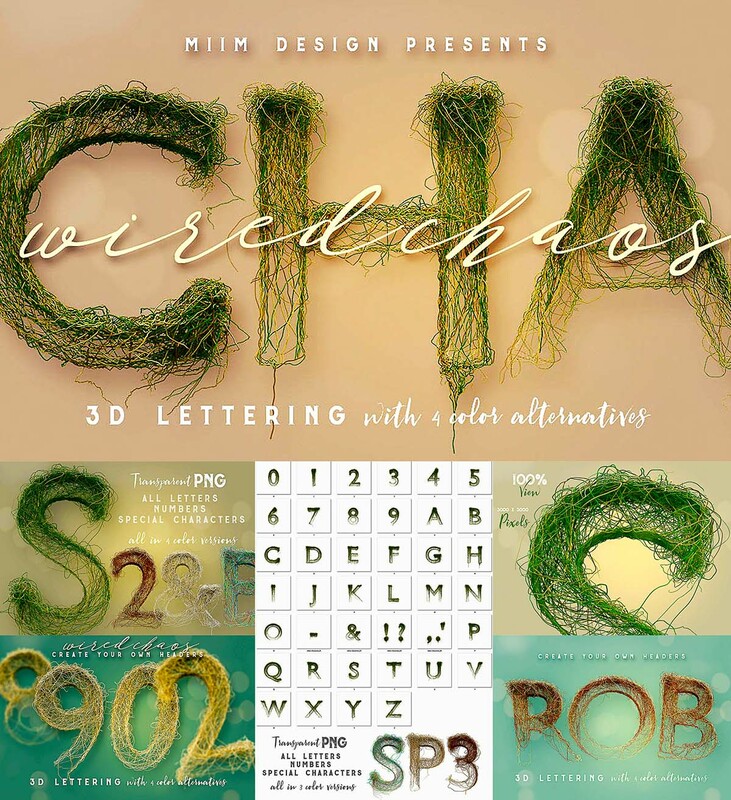 Tags: 3d font, 3d typeface, creative font, grass, lettering, unique font, wired.